Have you ever been inspired? I don’t mean when you looked at the girl with the crop top showing a little belly… I mean really inspired to go and be the best that you can be. To go above and beyond what you had done and do something you knew would cause you pain but reward you in the end. If you are not sleeping under a rock you know Hellreign82 from his funny videos. He is usually hunting down folks on a server and the videos are the Monthy Pithon of DCS. But I digress. The mission above is a scramble intercept. You in your Mighty MiG-21 vs 4 B-52 bombers. Sounds simple enough? It is… Until you throw in WEATHER. Let me just say, I never knew DCS could do weather in such a way. I am by admission a fair weather fighter. Throw in weather and I am Soup Sandwich. That is such a contrast as who I am in real life. IRL, I always say, “Throw in some weather and it becomes an adventure” You’ll northern folks know what I’m talking about. Just taking the pooch for a walk can turn into an adventure in the dead of winter. So I decided to give it a go. Here is how it went. Missions 1 to 4 = Dead on takeoff. A humbling experience to say the least. Here I was thinking I was a big boy. Thinking I could hang with the likes of you reel pilots (purposely misspelled) but I was living a lie. 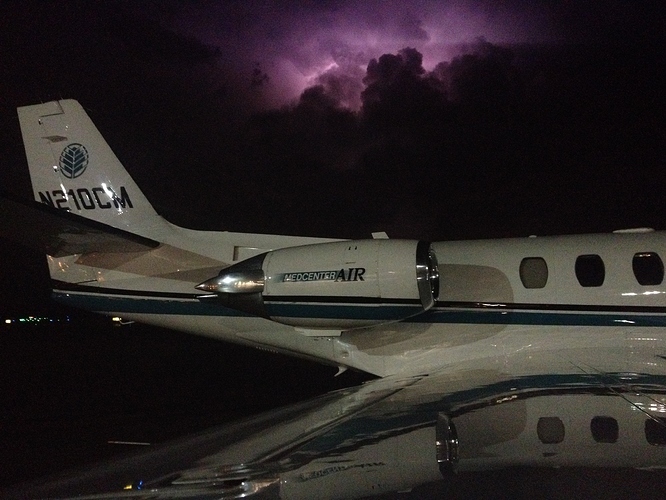 Missions 5 6 7 and 8 = Busted through the clouds and barely made the intercept. Some bombers got damaged and I died. Still cant believe after I started flight sims in 2002 and I still cant fly. Missions 9 to present = Lets get serious now. Watched videos on RSBN/PRMG. My takeoffs got a LOT better. Instrument flying with the best of em (not really). Able to make the intercept and save the town. I can find the airfield but had not managed to stick a real landing yet. But I am getting close. I began doing some training because I realized I needed it badly. At night I got good at sticking that landing. I learned how to PRMG my way home. In horrible weather… That is a whole different thing. So here Is the bottom line. NEVER stop learning. NEVER think you are above learning something new. ALLWAY challenge yourself. NEVER, EVER, EVER Give Up. ALWAYS strive to be the best you can be. Please share your bad weather experiences. Especially you Reel Pilot folks. Much Respect. Please share your bad weather experiences. Now when i was learning to fly on a little motorglider, I was on my 3rd solo. Very overconfident (not so much with the landing just the actual flying) my instructor had drummed it into me that if you fly into cloud you DIE. I bimbled around about 10 miles from the airfield on little route feeling pretty fricking awesome about life at 2000ft. a little wisp of cloud off to my left became quite heavy all of a sudden and i realised that I also had some off to my right. I needed to lose a bit of height to get underneath it. no big deal. so i drop 200ft to clear the bottom. now im completely blind. and F***ing terrified of not being able to find that airfield. i popped out the bottom of the cloud about (guess) 400ft. with a bloody great hill in front of me. nearly gave up flying that day. Real Life stuff? Let’s see. The time I got hemmed in by thunderstorms at night, FL450 over Colombia, took the only gap showing on the radar display, only to get slammed by a developing cell directly below us. 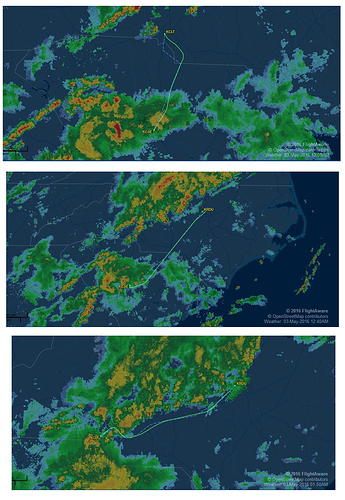 Lightning at all quadrants, auto-pilot kicked off, stall warn, stick shaker, and over speed warnings back to back… not fun. The weather is often ‘interesting’ around the intertropical convergence zone. One thing I have learned with flying is that just when you start to feel that you are pretty good at it, something humbling happens (if you are lucky). I can find the airfield but had not managed to stick a real landing yet. But I am getting close. I began doing some training because I realized I needed it badly. At night I got good at sticking that landing. When it comes to landing, that has always been my week point in higher performance aircraft. I came from FSX, where I learned (not perfected) the art of landing a 747 or 737 - but their large size and weight makes it easy - everything is very stable. I also really liked smaller planes - the Beechcraft Baron was built in and a pleasure to fly in the mountains. I had some WWII add-ons and the concept of landing a tailwheel aircraft I picked up as a result. 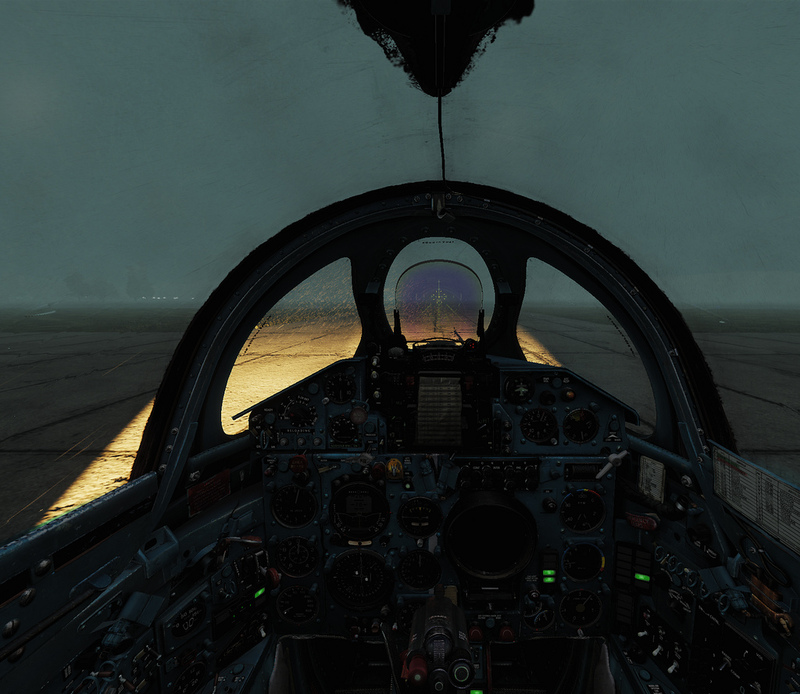 I flew the Hornet there too, but the gap from that to DCS was large enough it was out of my muscle memory. When I find myself running in too hot for a landing at low altitude, I now slow and circle. Sometimes a few orbits. Force myself to get used to the aircraft going slow - while in a turn. When I feel comfortable, I make the approach. It’s helped, but impatience still gets the better of me on occasion. I learned how to PRMG my way home. In horrible weather… That is a whole different thing. Is the ILS (I don’t recall the Russian name for it) still broken in the MiG-21? That was my biggest issue with it when I picked it up a while back. Watched videos on RSBN/PRMG. My takeoffs got a LOT better. Instrument flying with the best of em (not really). That’s great you are exploring instrument flight. It really is a large part of flying that our combat sims don’t much emphasize. One of my more memorable was the flight a few years back - the race against both time and weather. 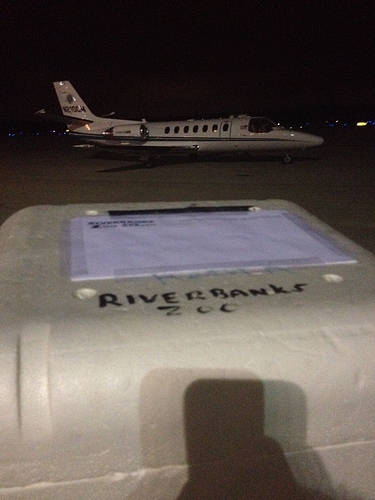 Picking up King Cobra antivenin from Columbia, SC to get it over to Raleigh, NC for a guy that had been bitten. It was the literal “dark stormy night” and somehow the holes happened to be just barely in the right areas…but the lightning…man…that lightning was just…memorable. I would not be telling it if you had not already told almost the exact same story. Wattisham, UK, March 1996. Last few days of mine in England. New PPL with SLMG, and no IR. Slingsby Venture IV motor glider and (let me check the old log-book) total of 34 and a bit hours total time in powered aircraft. A bit of hazy afternoon, but nothing my “superlative DR skills” could not handle. I took my friend’s father in law for a flight up to Horham and Bury St. Edmunds way. Off we went, chart in hand, chatting away. Flying back, the visibility reduced. And continued to reduce, until I was down to 500 ft agl and apparently inside an upside down, white bowl that only let me see a radius of around a kilometer, at most. Zero horizon, it was a world of oblivion. And all I had was a IAS, altimeter, a TC, and a whiskey compass. I got a bit worried (it was the first time I got that feeling of “it is better to be down there wishing…”, you know). I consider myself extremely lucky. Time certainly seemed to be stretched longer than usual, but suddenly, from under the rim of the bowl (it was a real 10 minutes or so), I saw a strip, and people towing a K-13 glider into a hangar. That identifying feature, in retrospect, was heaven sent. It took all ambiguity out of where I was. I am convinced. Rattlesden. I set the next heading to south east to Wattisham from there. By another stroke of luck, the Army Lynxs seemed to be taking advantage of the poor visibility for some impromptu training. I could hear them on the radio. I called them up, told them I could not Maintain VFR, and wanted runway 05. I got a reply that I cannot remember the exact content of, but they did advise me that they would stay clear to the east until I was in. Presently, I saw a high intensity light, and soon enough as I neared it, the airfield came into view in much the same way Rattlesden had. I did the downwind, settled onto 05 with no further issue. While doing the 180 on the runway, I could discern in the murk two dim silhouettes of Lynxs hovering to the east of the runway. I thanked them, signed off, and taxied slowly back to the hangar. I am not sure to this day what the high intensity light was that I saw, but I suspect it might have been a search light or the likes that one of the Lynx pilots switched on for me. I shut down and asked my passenger if he had enjoyed it. He was very excited, and thanked me for a great flight (can you believe!). That was my last flight in the UK. Two days later, I was on my way to South America. Edit: Came back to edit a typo, but I will add something. I am now almost completely out of flying, with an administrative job. I do enough to keep currency and recency, and the odd TFF flight. There were many fun years, and several more “incidents” along the way. But I am sort of glad I got through the thick of it alive, and that most of it is behind me now. The A-320 never inspired me much, and aviation is in itself such an interesting job, which ever way you tack at it, ground or airborne. I do humbly admit, though, I have had more than my fair share of luck. Were your legs trembling a bit when you got out? My flights where I knew I lucked out I usually had a little tremor in a leg as I walked away from the plane. Were your legs trembling a bit when you got out? I find it ironic, considering a different thread on this site. a little tremor in a leg as I walked away from the plane. By the way, never got to wear the jeans I packed. The ARMY was full of silliness like that. Sometimes I really am happy it’s just a sim I fly and not the real deal. My only weather story involves a car, a scare and nothing else. I too am a fair weather pilot, I choose to keep learning BFM and how to employ different aircraft. That MiG mission sounds like a whole lot of fun though! Like @Maico said, to stop learning is to die (a little). It’s human nature to be inquisitive of new and difficult things. To deny that nature diminishes the soul. Feed into it, by setting goals and achieving them makes it flower. Lots of nice stories and insight here. Back when I worked for the 4° Stormo in Grosseto we used to run the Euro fighter sim through daily operational readiness tests. Usually they involve a lengthy set of tasks to ensure the simulator was aligned with its parameters and therefore OK for Military training. We became so good that we could efficiently run the whole gamut of tests in half the time and then the guy at the console would test the “pilot”. 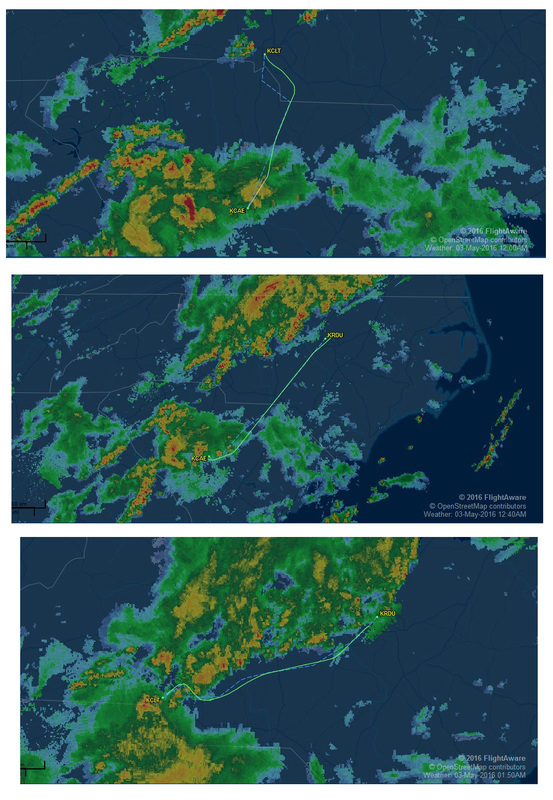 I know it’s just a simulation, and had I been on the plane I’d have probably ejected, but we had a blast landing in the most dramatic conditions ever. No instruments, no visual, one engine and 30 kts crosswinds were easy-cheesy in that bird. Magnificent toy that Euro fighter, I’m telling you. Edit: did the same in the Tornado flight sim and BOY it was quite the shaking experience! Just to be clear, this is what we are talking about right here. I jumped out of a C-141 at night into a rain storm .